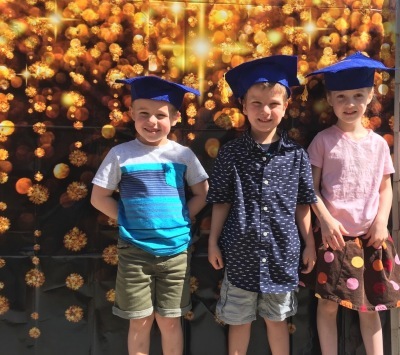 Enchanted Child Care offers a wonderful preschool program for children three years old to kindergarten age to participate in. We use the same program in all of our locations. Each month has a different theme. We incorporate math, science, social studies, basic skills, as well as gross and fine motor skill learning. 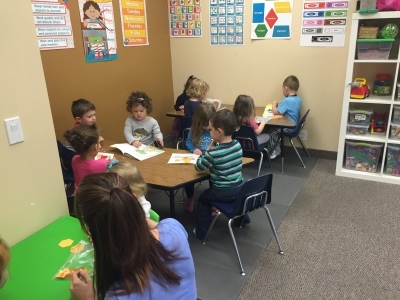 Our 2 year olds have their own preschool program where they are learning to spell their name, take turns, circle time, shapes, colors, counting, letters, spanish, the weather, and much more. By 4-5 years old the children are expanding on their learning by writing their names with proper capitalization, writing numbers 1-20, cause and effect, patterns, and more. Most of our 4 and 5 year old students go into kinder sounding out words, beginning to read, knowing math concepts including a good grasp of patterns and counting, and much more.